The boat has a 5.7 Volvo Penta I/O XL225hp engine w/ dual batteries and a charger. A new Bimini top w/ isinglass enclosure and a mooring cover. The interior includes a galley w/ microwave, 110/12V refrigerator, sink, alcohol stove and enclosed head/shower. Electronics include a Garmin 182 GPS and new VHF marine radio. 2000 American tandum wheel trailer. Reconditioned last year w/ disc brakes, actuator and 2 new tires. 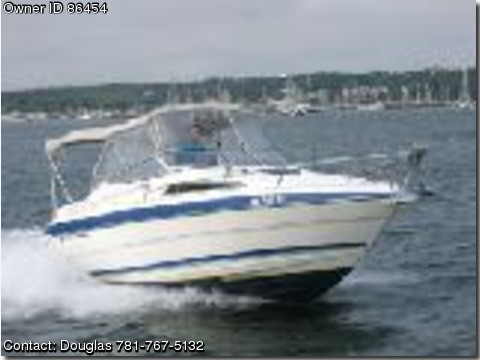 If you are looking for that big boat feel that is economical to run and trailer, then this is the boat for you.